From The New Criterion. April 30, 2017. "It’s not the crime but the cover-up." This adage has been so often repeated in the media over the years since its origin during the Watergate scandal that it is likely taken for granted as true by most people, even though it obviously enunciates a doctrine made to order for the interests of the media themselves. To the self-styled specialists in uncovering and exposing things which, once uncovered and exposed, can be characterized as cover-ups (covers-up? 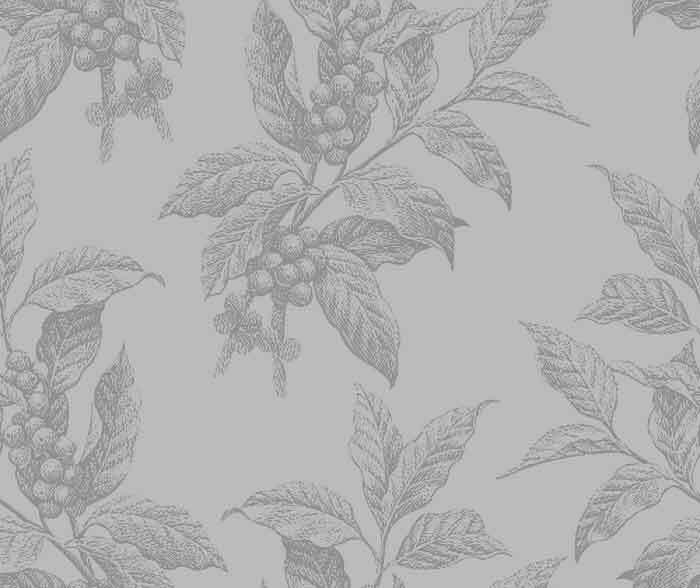 ), such things must be as many and as scandalous as possible in their own right, and without bothering very much about whether or not there has been any crime to be covered up in the first place. We have now arrived at the point where the crime is the cover-up and just because it covers something up, whether the information reserved from the media be incriminating or only embarrassing — or even completely innocuous. If it’s not the crime, in other words, then it shouldn’t, in basic equity, be the cover-up either. The law should stand in the way of the media’s self-justification for treating people’s natural desire for privacy and confidentiality as a crime and so forcing anything the media themselves choose into the glare of publicity in order to gratify their appetite for scandal — now including the scandal of trying to avoid scandal. But the law has been politicized in the same way if not yet to the same extent as the media and much of the permanent government. 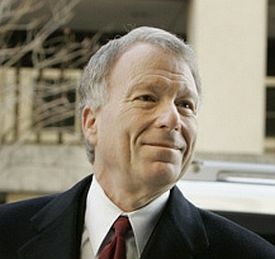 During the last Bush administration, the prosecution and conviction of Lewis "Scooter" Libby for a cover-up without a crime showed that the law may now lend its authority to the media’s view that it is criminal behavior to attempt to keep from them anything they are disposed to regard as grist for their scandal mills. As I write, the most recent cover-up without a crime is that of the alleged "links" between last year’s presidential campaign by Donald Trump and "Russia" — by which is signified agents of the Russian president, Vladimir Putin. There would be nothing inherently illegal about contacts between Trump campaign aides and Russian functionaries, assuming such contacts took place, but the left have found it convenient to allege Russian "interference" in the electoral process as an excuse for the election’s less than favorable outcome, from their point of view. That "narrative" could conceivably be advanced and the legitimacy of the Trump presidency conceivably, therefore, called into (further) question, if such links were shown to exist — and independently of what, substantively, the links consisted of, which remains unknown and probably unknowable. Hence the Democrats’ call for a special prosecutor, no doubt to do to Mr Trump, or whichever of his associates can be made the fall guy — Michael Flynn has already been defenestrated — what Patrick Fitzgerald did to Scooter Libby. In the words of one of the numerous anonymous sources among whom, principally, this battle has been taking place in the media, alluding to the old adage about smoke’s infallibly betokening fire, "This is the rare case where the smoke is the fire." It certainly is in the case of Mr Trump’s attorney general, Jeff Sessions. After yet another anonymous leak intended to advance the scandal narrative, The Washington Post reported on March 1st that Mr Sessions had met twice last year with the Russian ambassador, even though he had denied knowing of any "links" between Russia and the Trump campaign. At his Jan. 10 Judiciary Committee confirmation hearing, Sessions was asked by Sen. Al Franken (D-Minn.) what he would do if he learned of any evidence that anyone affiliated with the Trump campaign communicated with the Russian government in the course of the 2016 campaign. "I’m not aware of any of those activities," he responded. He added: "I have been called a surrogate at a time or two in that campaign, and I did not have communications with the Russians." It seems clear to me that with these words he was denying any such "communications" in his role as "surrogate" for the Trump campaign, though not any Russian contact he may have had as a senator and member of the Armed Services Committee, in which capacity he routinely met with ambassadors from many countries, including Russia. "Officials" quoted by the Post and connected with Mr Sessions confirmed this, saying he "did not consider the conversations relevant to the lawmakers’ questions." "Oh, I see," said Senator Franken. "Thank you for clearing that up." Just kidding! But then I don’t have to tell you that, do I? Mired as we are in this hyper-partisan, scandal-ridden political culture, it begins to look as if no one will ever again give anyone on the other side the benefit of the doubt. Judging by the context of Mr Franken’s question, which was the alleged Russian kompromat "dossier" on Mr Trump publicized by Buzzfeed and CNN — if you can remember that far, i.e. eight or ten scandals, back — even he wouldn’t have considered a routine conversation with the Russian ambassador relevant at the time he asked it. It was a different matter when an apparent cover-up gave him and his Democratic colleagues an excuse for further cries of "liar" and a further advance of the scandal narrative covering their ever more strident calls for a special prosecutor to look into a crime that nobody, not even those leaky intelligence sources, apparently, had any evidence of ever having been committed. "The Trump presidency can’t seem to escape Russia’s shadow," headlined The Washington Post. Not if The Washington Post could help it it couldn’t. But the media have grown so used to pretending merely to observe what they actually create that it has become second nature to them and so unrecognizable (to themselves at least) as the fake news it is. Astonishingly, Mr Sessions then proceeded to recuse himself from any role in authorizing (or not authorizing) the investigation called for by Democrats — almost as if he still believed his tormentors would be disarmed by such a gentlemanly gesture on his part. It’s the sort of naive move one might have expected from the gentlemanly Bush administration, and it was, accordingly, according to still further leaks, not a popular one with his boss, whose own response was to accuse the Obama administration of having bugged Trump Tower. Though this was, as the media claimed, a "distraction" from the allegedly more serious matter of the the alleged Russian "links," it was not, as the media also claimed in virtually every mention of Mr Trump’s allegations (though not their own), "without evidence." They were presumably so insistent about this because it was their pursuit of the would-be Russia scandal which had turned up such evidence as there was — in the form of two Obama administration requests to the FISA court for authorization of surveillance of "U.S. persons" with Russian connections who were also connected to Mr Trump and a report in The New York Times itself, the day before Mr Trump made his own charge, via Twitter, of efforts by the outgoing administration to distribute widely within the security apparatus information on Trump-Russia links which had been covertly obtained so as to prevent the incoming one from suppressing it. Mr Trump merely made the leap from this evidence of the politicization of U.S. intelligence services, to which the leaks about Messrs Flynn and Sessions also pointed, to the culpability of Mr Obama — who, after all, had been nominally in charge of those services. Here’s how he put it in an interview on "Fox and Friends." I think that President Obama is behind it because his people are certainly behind it. And some of the leaks possibly come from that group, which are really serious because they are very bad, in terms of national security. But I also understand that is politics. In terms of him being behind things, that’s politics, and it will probably continue. This was a brilliant use of cynicism and suspicion, bred from numerous smears against himself, to turn them back on the scandal-mongers, since the information on the basis of which both charge and countercharge were made were equally dubious and unconfirmed. Just as the cover-up has become the crime, so are the anonymous (i.e. covered-up) leaks to the Washington Post and The New York Times the punishment. But if the scandal machine can be set in motion by raw intelligence, that will eventually destroy the mechanism. Such intelligence becomes instantly worthless if not kept confidential, since the leaking and the damage it does by its publication are then obvious and powerful incentives to false and politically motivated accusers. Yet The New York Times is quite frank about the political motivations of its intelligence sources, which would be obvious in any case from the leaks themselves. Only Media Madness can explain why it and the other media scandal sheets cannot see what they are doing to their own credibility. Both sides in the on-going war between the new administration and "the opposition party" of the media are saying in effect what Mr Trump so often says directly: "Trust me. I know." But Mr Trump knows better than the media which side actually is more trusted. As between his open and unashamed partisanship and the media’s posturing about their own independence and objectivity I know which I am more inclined to trust. The media’s thumb on the scale remains unacknowledged but by now has become so obvious as by itself to account for the abysmal level of trust they can command. But their studied lack of self-awareness is a necessary precondition for the anti-Trump campaign to which they have given their whole hearts since the lamentable day of his election — a campaign conducted concurrently with the pro-"Truth" campaign mentioned in this space last month (see "Who governs America? in The New Criterion of March, 2017). In the era of advocacy journalism, however, as in wartime, truth is the first casualty. It was formerly common knowledge that "Truth" had as its first condition that of disinterestedness. Can it be only coincidental that we have lately lost that word and, with it, the concept itself to the popular prejudice that "disinterested" means "bored"? There is an important sense in which the truth often is boring, too — and therefore unlikely to be of any real interest to the allegedly truth-loving but actually scandal-seeking media. There was another entirely predictable outbreak of media self-righteousness when Mr Trump barred certain reliably hostile media outlets and their reporters from a news conference, and suddenly the last days of the American republic were said to be upon us. That was also the implication of The Washington Post’s exciting new advertising campaign with the ludicrously inapposite slogan: "Democracy dies in darkness." If that were indeed the case, we might expect democracy to be in the rudest of health, given the glare of the media’s klieg lights on the new administration wherein nothing, or at least nothing that is potentially discreditable, is permitted to remain in darkness, thanks to the leakers in the permanent government. But I don’t think there are many people who believe our democracy to be in robust condition at the moment. Nor do I think that I can be the only one who sees a much greater threat to democracy from the leakers of what is now being called "the deep state" — which, as has been coyly suggested by a writer for The London Review of Books, might also be called upon to arrange for an assassination or two (Steve Bannon and Mr Trump are both mentioned) in order to oblige those more enlightened souls "who live in coastal cities" and who "have found ourselves having criminal thoughts and violent fantasies since 9 November." I didn’t see any notice being taken of that little jeu d’esprit (ultimately if bizarrely rejected as "a gift to the administration") in our "Truth"-loving, democracy-saving media. But then there were assassination fantasies even back in the George W. Bush presidency which only the Bushitler supporters seemed to care very much about. Intellectuals! What are you going to do with them? The response of The New York Times to being frozen out of the Trump press conference was to run a story by Adam Liptak headed: "Barring Reporters From Briefings: Does It Cross a Legal Line?" which seems to suggest that the current state of jurisprudence is such as to suppose that First Amendment guarantees of freedom of speech and of the press imply a guaranteed access to information for a privileged class of the media. "It has been held impermissible," Judge [J. Paul] Oetken wrote, "to exclude a single television news network from live coverage of mayoral candidates’ headquarters and to withhold White House press passes in a content-based or arbitrary fashion." Last Friday’s developments at the White House crossed that legal line, said Jameel Jaffer, the director of the Knight First Amendment Institute at Columbia University. "That was unconstitutional," he said. "If you exclude reporters from briefings that they otherwise have a right to attend because you don’t like their reporting, then you have engaged in viewpoint discrimination." Viewpoint discrimination by the government in a public forum is almost always unconstitutional. "Viewpoint discrimination"? Surely here, if anywhere, we must have reached the reductio ad absurdum of the media’s claims to legal privilege, since the media themselves engage in "viewpoint discrimination" all the time by insisting so loudly on their own as "the Truth." Properly considered, viewpoint is discrimination, and if you try to separate the two you are in effect saying that there is only one "true" viewpoint — which is self-contradictory. The concept of "viewpoint" makes no sense without multiple possible viewpoints. Viewpoint discrimination, in this sense, used to be considered the job of the media, but it is a job they no longer want, having decided that there is no legitimate viewpoint but their own. For that is pretty clearly a big part of what they mean when they tout their passion for "the Truth." Their right to be admitted to presidential news conferences is founded on nothing but their own self-importance and self-characterization as the licensed guardians of what Jim Rutenberg of the Times calls "the realm of the true." Thus, anyone engaging in the sort of "viewpoint discrimination" that used to be called disagreement with them and their favored political tendency must ipso facto be at war with the Truth — which happens to be just what the media are forever telling us Mr Trump is. Those of us who might otherwise have had our own doubts about Mr Trump’s complete and strictly observed veracity in one or two cases are therefore paradoxically reassured that the media must only be flagging (yet again) some deviation from their own "viewpoint" and calling it, as they have called so many things, a "lie." "Democracy dies in darkness"? On the contrary, democracy dies in the glare of the media’s spotlight and its powers of viewpoint discrimination, which is to say the power to determine what people see — and what they don’t see.